We had the honor of having Sava Pavlović, Corporate and M&A Senior Associate as a panelist on “Crowdfunding in Serbia: Legal and Regulatory Issues”, a panel organized last week as a part of the CrowdTuesday event, with topic – The Impact of Alternative Finance on Startup and SME Ecosystem. The event was hosted by the European Crowdfunding Network, which counts 60 members from 16 EU member states, in Startit Centar, Belgrade and gathered significant number of experts and industry representatives from Serbia and the EU. During interesting debate on alternative finance models, Sava Pavlović discussed about regulatory framework and identified issues regarding their implementation in Serbia. The panelists, furthermore, explained the outcome of deploying capital by investors in today’s world in context of new technologies, including blockchain and smart contracts. “There is a huge market potential for some of the models of crowdfunding to be implemented in Serbia, but still, there are some legal uncertainties that should be solved in order to make such implementation successful. 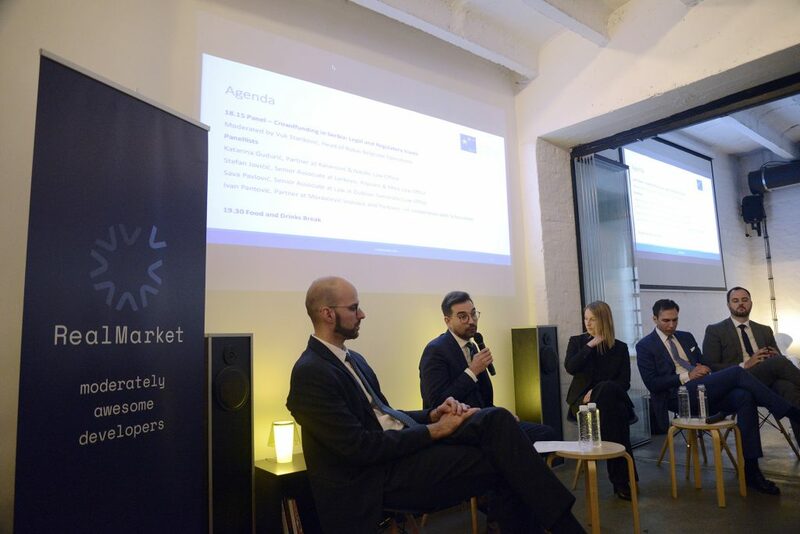 However, these uncertainties could be resolved by minor regulatory improvements, and if the regulators recognize that need and act accordingly, I am sure that it will be huge incentive for the local market” were the key words that Sava Pavlović, Corporate and M&A Senior Associate pointed out at this panel. For more information on the topic, contact Živković Samardžić Corporate and M&A Senior Associate Sava Pavlović (sava.pavlovic@zslaw.rs) or any of your regular contacts at Živković Samardžić.